“You plunge into the world. You roll the dice. 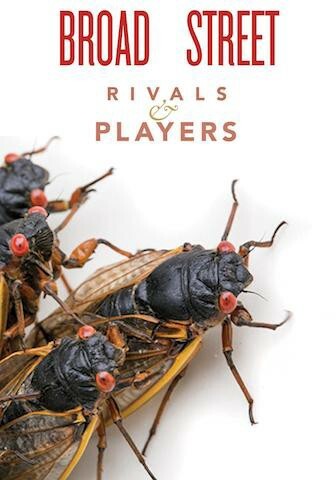 To enjoy this piece from “Rivals & Players” as a broadside, drag the sheet to your desktop. Or scroll down to read in plain text. The heat, damned heat — and now humidity. just like Savannah, the very air wet. only good old-fashioned Southern misery. about Tredegar, Jeff Davis, and General Lee. Cuts no ice. “Yankee Land,” I’ve heard at least twice. They know we’re a short drive from Washington. We miss the marsh, the palms, Saint Patrick’s Day. You plunge into the world. You roll the dice. You make new friends, a few, or maybe none. Waiters say “Hi” not “Hey.” You make your way. 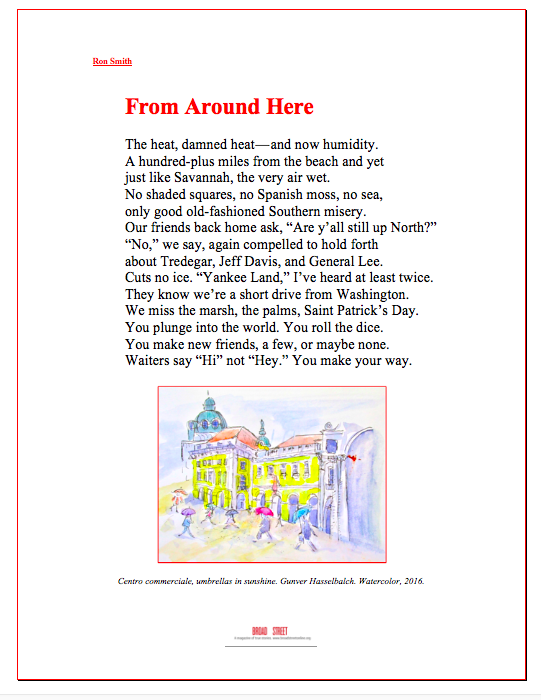 Ron Smith is a former Poet Laureate of Virginia. Currently Writer-in-Residence at Saint Christopher’s School in Richmond, he is the author of the books Running Again in Hollywood Cemetery (University Press of Florida) and three books from LSU Press: Moon Road, Its Ghostly Workshop, and The Humility of the Brutes. In 2018 he was a Featured Poet at the American Library in Paris, where he also read new poems in the Salon Eiffel on the Eiffel Tower. 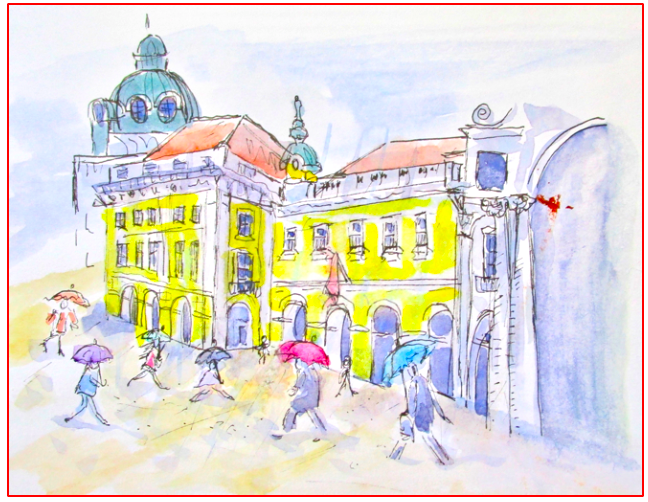 Gunver Hasselbalch’s watercolors and drawings have been displayed in her native Denmark, where she also works in the theater, and in Italy. Some of her paintings were featured in our “Small Things, Partial Cures” issue. Centro commerciale, umbrellas in sunshine. Watercolor, 2016. Previous post"The Museum of Teeth," an essay on an incomplete collection. By Emily Woodworth. Next post“A Curious Migration”: on human virtue and the precarious survival of the monarch butterfly. An essay by Mary Quade.